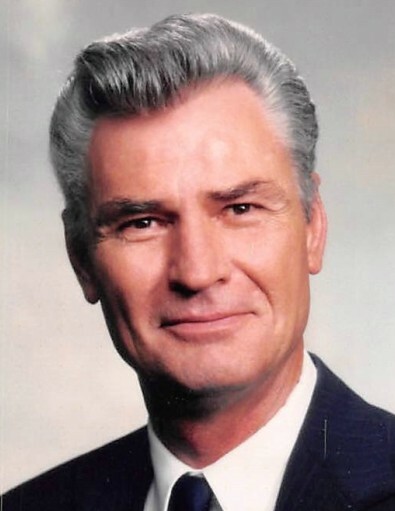 Davie Eugene Webb, Jr., 69, of Searcy, died peacefully surrounded by his family on Monday, May 28, 2018, at his home after a lengthy illness. He was born on October 29, 1948, to Davie Eugene Webb and Doris Evelyn (Webb) Webb in Altus, Oklahoma. Dave attended the Fire Academy in Camden and became a Searcy Firefighter in the year 1971. He served as Captain for many years and in 1990 he accepted the position of Searcy Fire Chief and served in that capacity until his retirement in 1995. He loved firefighting and often reminisced with his special friend Tom Sapp and many fire department friends. The family and friends of Dave Webb of Searcy, mourn the passing of a cherished husband, a beloved and respected father, a man of integrity and kindness. He was blessed by the love and companionship of a devoted wife and soul mate of 35 years; Karen Buchanan Webb, a loving son; Davie Webb III, and a loving daughter; Bobbie Ann Webb McConnell, a beloved granddaughter; Gracie Ann McConnell, a beloved grandson; Jeffery Landon McConnell, loving sisters; Janice Webb Jernigan and Myrna Dillon, all of Searcy, a cousin and life-long friend; Vance Marsh of San Pedro, CA, nieces and nephews; Johnny, Kim, Jeanette, Brandon, Jasen and Josh, extended family and many who called him Chief and friend. He loved all children and never missed an opportunity to speak to a child. He had four Facebook children that he and Karen followed from their birth; Logan, Landon, Bauer, and Izzy. Dave was preceded in death by his parents, a sister; Gloria Ann Salmon, a nephew; David Drazkowski, and a great-niece; Kayla Steele. A visitation will be held at the Searcy McEuen Funeral Home, 2616 S. Main St, in Searcy on Friday, June 1, 2018, from 6:00-8:00 pm. A memorial service will be held later on the banks of the Red River near the Oklahoma town of Altus, where Dave was born. Because of Dave’s love of children, memorials may be made to the Child Safety Center of White County, 414 Rodgers Drive, Searcy, AR 72143, or a children’s charity of your choice.